They have golf schools in three Arizona locations: Phoenix, Sedona, and Prescott, AZ. Their flagship golf school is at the magnificent Sheraton Grand at Wild Horse Pass. In every conceivable way, Wild Horse Pass is an impressive location for an Arizona golf school. With 36 holes of Championship golf, luxury accommodations, state of the art spa facilities, fabulous dining options, equestrian center and vistas that will amaze you, this is a fantastic golf school location with something for everybody. Wild Horse Pass is nestled between the Sierra Estrella and South Mountains and is an easy 15 minute drive from Phoenix airport. The highlights for golf schools students are at the incredible Whirlwind Golf Club. This 36 hole masterpiece was designed by Gary Panks and is home to the PGA Nationwide Tour Gila River Classic. Whirlwind was named Troon Golf’s “Facility of the Year” in 2004 and 2011. (out of 200 course worldwide) and in a short time, has already become one of the most highly regarded facilities in all of the Southwest. Golf school students enjoy immaculate, private, range facilities, practice greens and the two championship courses; Cattail and Devil’s Claw. Located in the heart of one of the most captivating regions of the Southwest, Sedona Golf Resort’s thrilling 6,646-yard, par – 71 course is widely considered among the world’s most unforgettable golf experiences. Golf school students enjoy unlimited golf in all package offerings, while receiving the outstanding private instruction that is the hallmark of the Bird Golf Academy. Consistently rated Golf Digest’s 4 star awards, this Gary Pranks designed course is fun and challenging for golfers of all abilities. 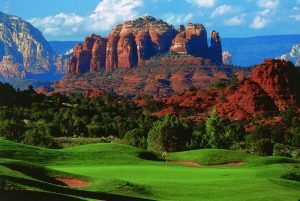 Perhaps no other golf course on earth provides a better combination of jaw-dropping splendor and exceptional challenge than the universally acclaimed, Sedona Golf Resort. The Hilton Sedona Resort and Spa offers a full service spa along with many other activities. Enjoy three swimming pools and two restaurants at the resort, including the Shadow Rock grille offering Southwest and Arizona cuisine. Relax in the spaciousness of one of their 219 exquisitely appointed suites with private patios or balconies offering panoramic views of golf, surrounding canyons and plateaus. Their Prescott location is only 90 minutes from Phoenix, and is a perfect Summer and Fall golf location. The StoneRidge Golf Course blends the rugged elevation changes with the serenity of the high desert, and is an exhilarating journey that sweeps through steep canyon walls. Golf Magazine says StoneRidge “provides as many breathtaking views as it does challenging holes and is one of the best new golf courses you can play”. Bird Golf School students enjoy the immaculate and private practice facilities and the superb layout of the golf course in this perfect mountain atmosphere. Golf school packages include suite accommodations at the Prescott Resort and Conference Centre, and offer a full array of recreational activities, the resort offers something for everyone. Displaying listings from USA → Arizona → Phoenix. 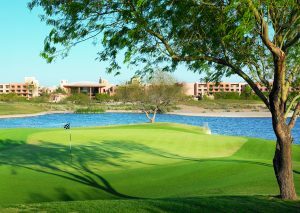 Address 2201 E. Clubhouse Dr.
Personalized attention and small classes in beautiful Scottsdale, Arizona resort setting. Voted Top 25 Golf School by Golf Magazine. Customized instruction for all abilities. Tournament-level junior golfers with college golf aspirations are welcome to join our college golf development camp in Phoenix, Arizona. Staff members include former prominent Division I coaches including legendary University of Florida Head Coach, Buddy Alexander.